Revenue in the Furniture market amounts to US$85,015m in 2019. The market is expected to grow annually by 0.9% (CAGR 2019-2023). In global comparison, most revenue is generated in United States (US$259,742m in 2019). In relation to total population figures, per person revenues of US$1,269.65 are generated in 2019. The Furniture market centers on different movable commodities designed to support various activities, like seating or sleeping, holding or storing objects, etc. Unmovable household objects (e.g. sinks, faucets, etc.) are excluded as well as tableware, cutlery and other small objects, while this market outlook includes both B2C (business to consumer) and B2B (business to business) sales (e.g. furniture for coffee shops, offices, etc.). Also, although furniture sometimes has a decorative, symbolic or religious purpose, the focus lies on the furniture with a primarily functional role and the market is segmented accordingly. Reading Support Revenue in the Furniture market amounts to US$85,015m in 2019. 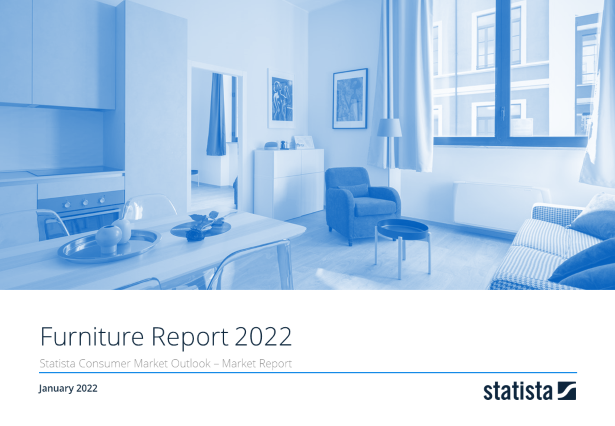 Reading Support The Furniture market is expected to show a revenue growth of 1.4% in 2020. Reading Support The average revenue per person in the market for Furniture amounts to US$1,269.65 in 2019. Reading Support In the Furniture market, 11% of total revenue will be generated through online sales by 2023. Reading Support With a market volume of US$259,742m in 2019, most revenue is generated in United States. Here you can find more studies and statistics about "Furniture".